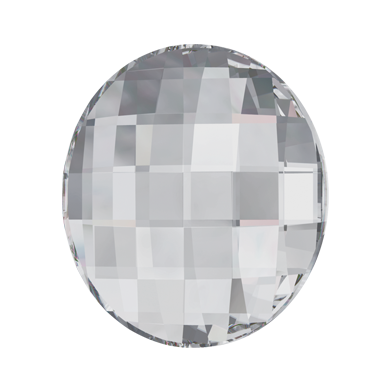 The 2035 Hot Fix Swarovski Chessboard Circle Flatback Rhinestone is a very modern, multi-faceted, round stone with a flat back and a slightly raised top that brings an outstanding structure to this crystal. The chessboard faceting and low dome shape stone make it a practical fit for applying to a variety of designs. These 10mm Crystal Chessboard Circle 2035 Hot Fix Flatbacks are available here in a full factory package of 192 pieces. 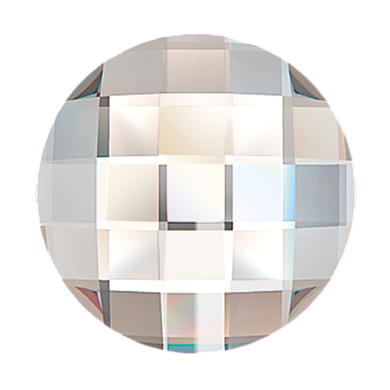 Swarovski 2035 Chessboard Circle Hot Fix Rhinestones are made of "Advanced Crystal" and are lead free and compliant with international standards. Shop Swarovski crystals wholesale with confidence knowing that HarMan will meet or beat any competitor?s invoiced or advertised price. 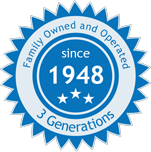 Learn more about our price match guarantee.